The British media’s readiness to dismiss the account of the two alleged Russian “assassins” is all too reminiscent of the Cold War. Where’s all the snow? The Mail asks sneeringly in its report on Ruslan Boshirov and Alexander Petrov’s account of their trip to Salisbury. As Craig Murray has pointed out, little snow is evident on CCTV stills of the two in Salisbury because the council had swept snow from the centre of the city by the time they arrived. However, much of the surrounding countryside, including Stonehenge was still under a blanket of snow. Which may explain why they decided not to visit the prehistoric monument because although buses were running past the world-renowned site it was still closed to tourists. What about the Novichok found in their hotel room? the Mail asks accusingly, after traces of the nerve agent were allegedly found at the City Stay Hotel in Bow Road, east London. Well, traces of the deadly nerve agent could easily have been placed there AFTER the two had left the hotel they stayed in on their return from Salisbury. It would have been a simple matter of retracing their footsteps across England and then leaving incriminating evidence along the way. It’s the sort of thing that intelligence agencies do all the time. However that doesn’t seem to have occurred to the Daily Mail, which buys the official UK government account without question. Could Britain itself have synthesized Novichok? 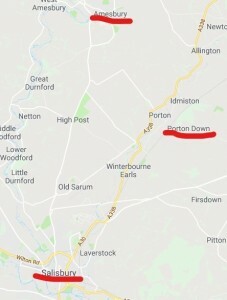 Yes, Britain could indeed have synthesized novichok and where better to do so than at Britain’s main chemical weapons laboratory at Porton Down, which is conveniently situated just a few short miles away from the sites of the poisonings in Amesbury and Salisbury, Wiltshire, almost equidistant between the two. So what could Britain gain from framing Russia for the attempted murder of Yulia and Sergei Skripal? On the face of it very little but much depends on what the ultimate objective was. If, for example, they were covertly trying to orchestrate a clash between Russia and the West a great deal could be gained by poisoning the Skripals and then blaming Russia. For we should be under no illusions about detente with Russia. It is now very much a thing of the past but it only worked while it was of benefit to the elite. While Russia was in effect a moribund monolith seemingly in terminal decline. Let’s not forget that little more than twenty years ago it seemed as if Soviet Russia had been consigned to the rubbish heap of history. Not only was the disintegrating Soviet Union virtually bankrupt and ruled by an incompetent drunkard in Yeltsin, it was easy prey for predatory oligarchs, who eyed the former superpower like vultures watch a dying buffalo. However, that all began to change when a non-descript bureaucrat assumed power in 2000. This wasn’t expected. The elite had wanted an oligarch in power who would continue to drive Russia down the road toward debt and disintegration, just as Poroshenko has done in Ukraine. That was not to be under President Putin however. After first consolidating his position and neutralising threats from other oligarchs, which meant imprisoning some and forcing others into exile, the former St Petersburg bureaucrat began turning Russia around. I saw evidence of this when I first visited Russia in 2003. Everywhere I saw vestiges of the former Yeltsin era and before that the Soviet Union. In the decaying infrastructure, poorly run services and the limited selection of substandard consumer goods on offer in local supermarkets. Over the years as I’ve visited I’ve watched that steadily change. The quality and range of goods now on offer in Russian supermarkets has expanded and greatly improved, the infrastructure is better maintained while the speed and efficiency of services offered is better than ever. And note I’m not talking about what’s on sale at GUM, near the Kremlin, which sells imported name brands to tourists. I’m talking about what’s in stock at your ordinary Russian supermarket. I can see for myself that things are turning around in Russia in a big way. This is particularly evident in the Russian armed forces, which are now better trained than they’ve ever been, better quipped with weaponry that rivals and in some cases surpasses the best the West can offer, and which is now no longer largely a conscript army. In fact professional soldiers in Russia’s Army now outnumber conscripts. In plain language Russia is resurgent. This wasn’t something the elite planned for and the build-up of tensions with Russia, the novichok poisoning, Syria et al need to be seen in this context. What we have now is an ongoing propaganda war with Russia and the following article from the Daily Mail is a prime example. The only difference is that Communism died so why are we now at odds with Russia? Could that be because Putin won’t tow the line? Is his failure to abandon allies in Syria to head-chopping thugs — covertly employed by the West, Israel and Saudi Arabia to overthrow Assad — be the cause of the growing hostility? This could indeed result in a military clash with Russia. I don’t think that is what Putin wants but we need be under no illusions about what we face. The problem isn’t Putin or the Russians. If war does ensue it’s because of the machinations of the West’s own corrupt and thoroughly compromised leaders. Ed. The two Kremlin-sponsored novichok assassins ridiculed after claiming to have been ordinary tourists have at least ten gaping holes in their ‘absurd’ story, it was revealed today. 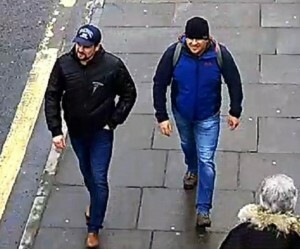 The men, claiming to be Ruslan Boshirov and Alexander Petrov, claimed to be desperate to see the Salisbury Cathedral’s magnificent ‘123-metre spire’ and visited the city twice in three days. But bizarrely they stayed 127 miles away in an east London hotel even though they insisted they were in Britain to visit its ‘famous cathedral’ and took no pictures. 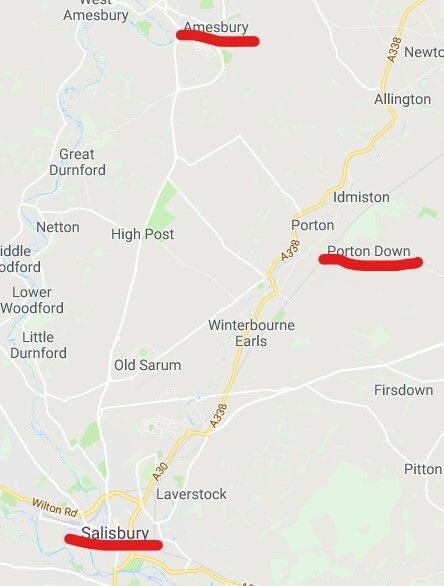 They also claimed attempts to get to nearby Stonehenge were thwarted, even though a bus was running to the world’s most famous prehistoric monument from outside the station. 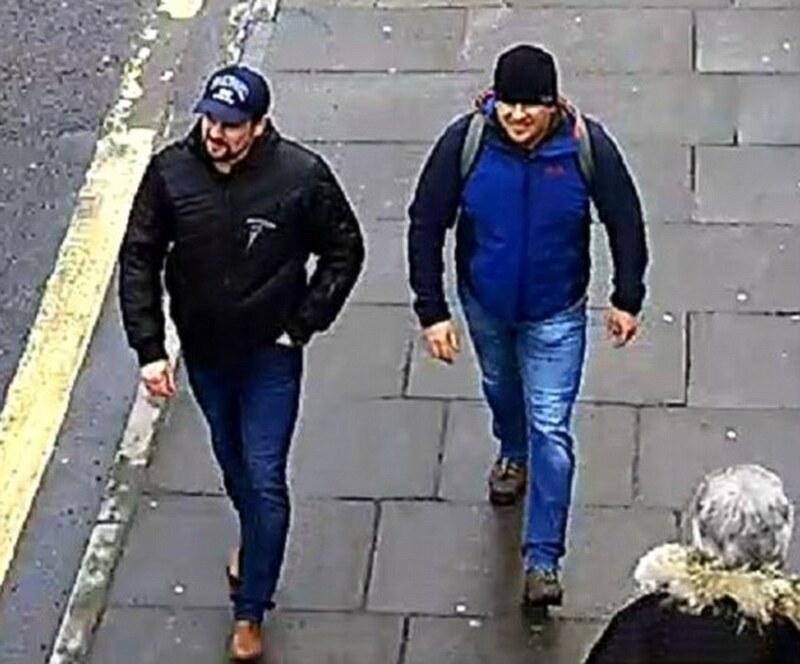 And the men claimed snow ‘up to their knees’ cut short their Salisbury trip – even though the weather was sunny and pavements were clear – while they also admitted they may have ended up outside Sergei Skripal’s house by accident. The pair also failed to explain why they had booked two alternative return flights from London to Moscow – giving them the option of fleeing on Sunday or Monday – a and CCTV suggested that they did not have any luggage with them on their way home to Russia. Their unlikely story was branded ‘lies and blatant fabrication’ by Theresa May last night, who said it ‘insulted the public’s intelligence’ and was deeply offensive to the victims of the chemical attack. 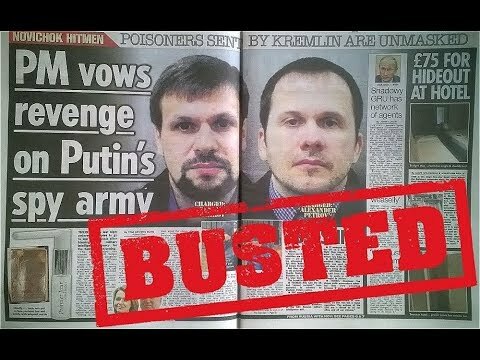 The men broke cover eight days after their mugshots were issued by Scotland Yard – which has accused them of attempted murder – and Mrs May told the Commons they were intelligence agents from Russia’s feared GRU. The men told Kremlin-funded state broadcaster Russia Today yesterday they had been on a two-day holiday to Salisbury. But these ten glaring flaws blow a huge hole in their version of events. What about the Novichok found in hotel room?